Acworth is known as “Lake City” because it is surrounded by Lake Acworth and Lake Allatoona. Acworth is 35 minutes northwest of Atlanta off I-75, and one of Cobb County’s most friendly towns, popular with everyone from foodies to families, offering a variety of home styles. 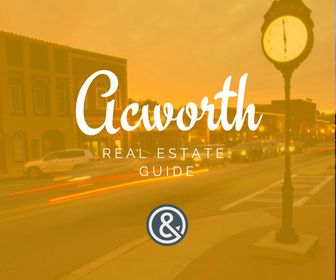 The City of Acworth is popular for nature and sports enthusiasts, due to being surrounded by Lake Allatoona and Lake Acworth, as well as having 13 parks, 9 softball/baseball fields, and 2 football fields. On the banks of Lake Acworth is the Cobblestone Golf Course, which was rated the number one public golf course in Georgia by Golf Digest. Historic downtown Acworth is a Main Street America city, offering a unique glimpse into the history of this welcoming southern town, with many well preserved historic homes and buildings. Acworth is a hot destination for foodies, with culinary options that include southern home cooking including barbeque, Cajun, Italian, classic fresh seafood, reinvented American cuisine, as well as coffee shops and ice cream parlours. The city has many chef owned and operated restaurants, including nationally award winning Henry’s Louisiana Grill at 4835 N Main St where chef Henry Chandler was voted fan favorite at the National Chef’s Challenge in the Farm to Table experience event in New Orleans, LA. Shoppers enjoy an eclectic mix of one of a kind locally owned shops as well as large national chains. Easy access to I-75 provides a major artery for travel to the north or south. 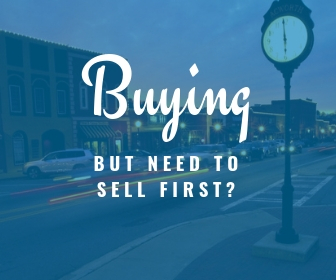 What's Your Acworth Home Worth? Why do we love Acworth? The historic downtown is a great place to hangout with friends & family, plus the abundance of activities for nature and sports enthusiasts make Acworth a great place to call home! Let’s hit the top rated public golf course at Cobblestone to start our day, then spend the afternoon relaxing on Lake Allatoona. For dinner, we will visit one of the chef owned and operated restaurants in the historic Main Street district. One Thing to Know about Living in Acworth? Where affordability and convenience meet.